Having the ability to store energy in your house allows you to be more independent from the electrical grid, both financially and in terms of security and/or comfort. 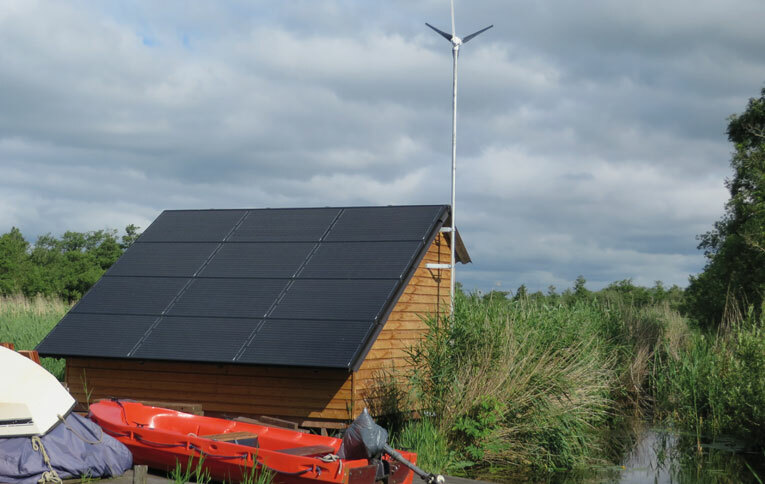 In national park de Oude Venen, various remote cottages are provided with an off grid system. The generated solar energy is stored in two Lithium Ion batteries via a MPPT solar charge regulator. The 5 kW Mastervolt inverter delivers a pure 230 V sine wave, enabling you to use all appliances as usual. 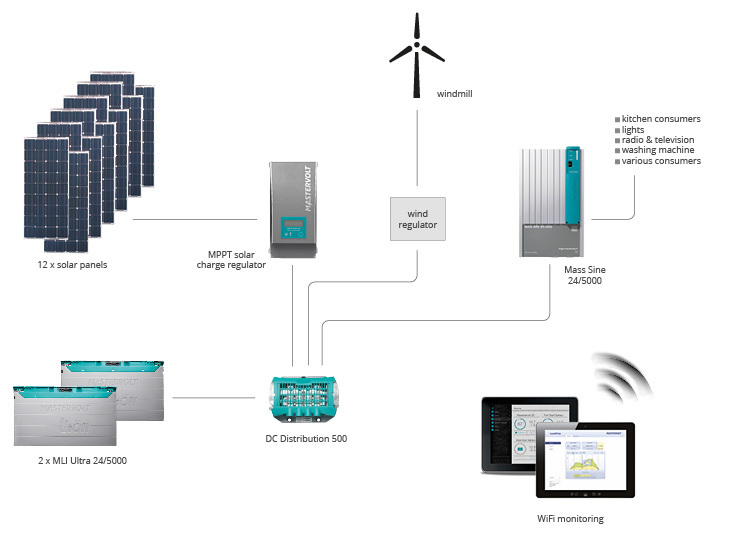 The entire off grid system can be monitored remotely by means of a WiFi module.